Holden’s Cruze lineup is missing one car: a performance version to compete head to head with the likes of the Volkswagen GTI in the Australian market. However, Holden isn’t planning on offering such a product anytime soon. Speaking with Drive.com.au at the Melbourne auto show, Holden boss Mike Devereux said for the time being the highest trim level will be the Cruze SRI-V.
“Our SRI-V is really our halo model [for Cruze] going forward,” stated Devereux. 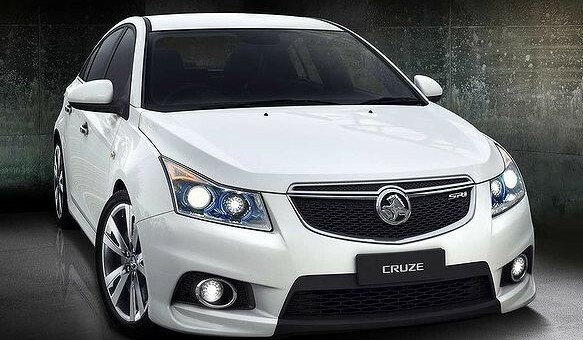 Holden has offered a performance version of its last compact car before the Cruze. Named the HSV VXR, it was based on the Opel Astra VXR and had a turbocharged 240 HP four-cylinder engine, however sales of the HSV VXR were a limited success. There could be a hot hatch offering from another GM brand. Opel, which announced it will be making its way to Australia in 2012, could bring the stylish GTC to the Land of Oz upon its launch. The Opel GTC is expected to get an OPC version with somewhere in the ballpark of 270 HP under the hood from a boosted 2.0-liter Ecotec. There is still hope, however, if you’re an Australian and wish for a compact performance car to come from the Lion brand, as Devereux remains open and diplomatic to the idea. “Holden will do what it needs to do to satisfy its customers. If that means higher-performance models then that’s what we’ll have,” he said. Next story Opel Ampera Sold Out For 2011? they race the cruze in europe so they must have some high performance parts in the GM parts dept.. they are also winning the championship. That’s weak Holden, you should be offering a performance version too! So where’s the Insignia, the best medium car GM has ever built ??? how do i get those Halo Lights and those special rims? And how much would each one cost? I got myself the SRi-V version with a standard 17″ rims… The ones above looks so much nicer.